Cotton velour child size golf towel is a great birthday gift for the little golfer in the family. Premium quality 100 percent cotton with plush velour finish. There is a golf green with flag and the words, Daddy's Golf Buddy. The towel can be personalized. This tri fold towel is available in black only. It measures 15" x 18" and has a center brass colored grommet and hook. 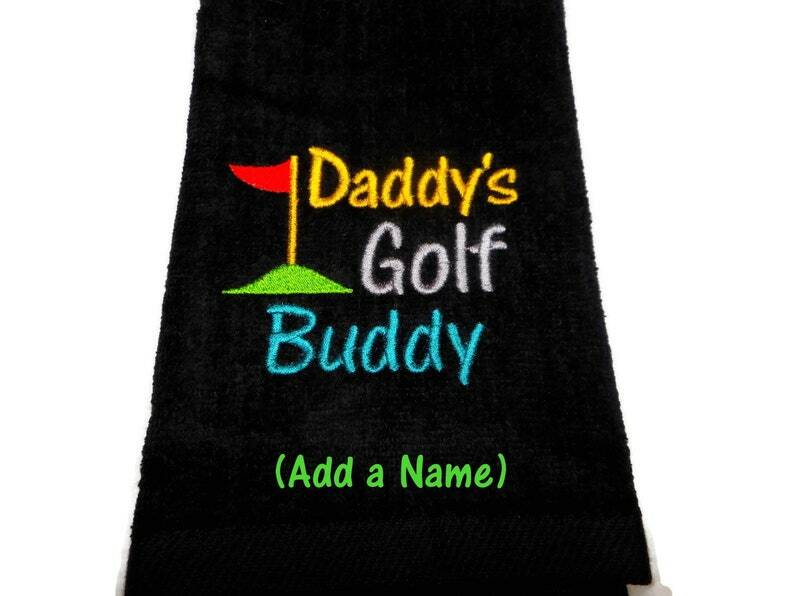 Golf towels are an essential accessory for every golfer from amateur to pro!